To receive an email when we take orders for oats, sign up for our emails. 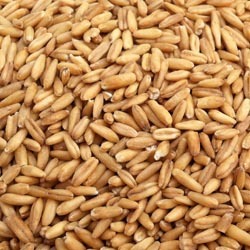 We offer a few different types of oats. Click the links here to read more about each, or simply scroll down. 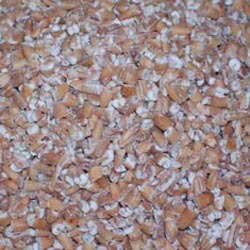 Both conventional and organic oats are available in most of the cuts. Oat groats are the whole oat grain. They look a bit like whole wheat, but they’re longer, thinner, and a little lighter in color. Whole oat groats can be used whole in recipes like slow cooker oatmeal (1 cup whole oats, 4 cups water, cook in the slow cooker on low overnight), ground to make oat flour, or rolled at home to make the freshest, most wonderful oatmeal you have ever tasted. Steel cut oats are just what the name implies, oat groats that have been cut with a blade. Steel cut oats make a nice porridge that is chewer than oatmeal made with rolled oats. For overnight steel cut oatmeal, place 1 cup steel cut oats and 4 cups water in a slow cooker set to 250 degrees (or low) overnight. You’ll have a no fuss breakfast ready when you wake up. 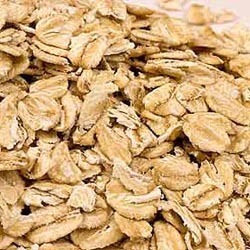 Regular rolled oats are cut thicker than quick oats, so they take longer to cook as oatmeal. They produce a chewier texture, though, in oatmeal and in baked goods like oatmeal cookies. And they make great granola. For an interesting texture, try making granola with half regular rolled oats and half quick rolled oats. Here’s our favorite recipe for soaked granola. Rolled oats are pretty familiar, but here’s one thing you may not know. 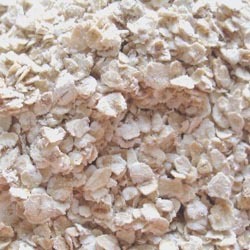 Rolled oats come in a few different thicknesses; quick, regular, and thick. The only difference in processing is the size the groats are cut before they’re rolled; thicker or thinner. So one kind of rolled oat is no more processed than another. Quick rolled oats take very little time to cook. Just add to boiling water for a quick and nourishing breakfast.